Piper Aircraft, Inc. has been awarded approval from the National Civil Aviation Agency (ANAC) in Brazil for its top-of-the-line, single-engine turbo prop product, the M600. The M600, the most advanced and capable aircraft in Piper’s M-class line up, seats six and is powered by Pratt & Whitney PT6A-42A turboprop engine flat rated at 600 SHP. The aircraft has a maximum speed of 274 ktas / 507 km/h at maximum available power settings and has a max range of 1,484 nm / 2,748 km at intermediate cruise settings. The M600 features the most sophisticated general aviation avionics suite available from Garmin. The Garmin G3000 offers industry-leading intuitiveness and powerful avionics capabilities. Innovative pilot interface design allows for easy and efficient flight deck management, increasing safety margins and reducing pilot workload. Ergonomically crafted for the pilot, control of radios, audio and intercom channels, transponder codes, charts, mapping, flight plan entry and system set up have been greatly simplified with the Garmin GTC 570 touchscreen controller. The dual GTC 570s provide a centralized point of access for the majority of all avionics tuning, selection and data inputs. The M600 has enhanced safety features including Emergency Descent Mode, Electronic Stability Protection, Level Mode and Underspeed / Overspeed Protection. 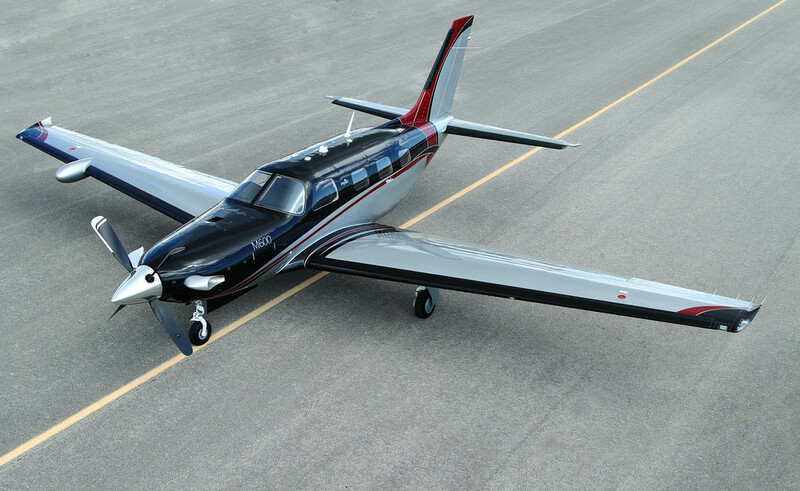 The aesthetics, ergonomics and technologies of the new Piper M600 aircraft redefine comfort and convenience. The M600 interior features newly styled seats, which have been optimized for comfort, as well as enhanced side panels with improved passenger interface. Additionally, three new color palettes have thoughtfully been created with the customer in mind. A comprehensive survey process helped identify the features and attributes that would be most appreciated by both pilots and customers including USB charging ports, executive folding tables, and folding seats. The 2017 M600 is listed at a competitive price of $2.89 million.